The impacts of climate change are hurting Oregonians. Our families, farmers, fishermen and firefighters are all bearing the burden. 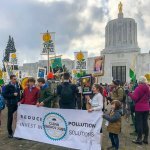 Enforcing limits and putting a price on climate pollution will shift the burden off Oregonians and hold large polluters to the same standards of responsibility as the rest of us, while creating good jobs in clean energy. 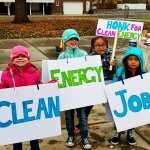 For details on Clean Energy Jobs, visit Renew Oregon. Status: Diverted from Senate Environment & Natural Resources Committee to Senate Transportation & Economic Development, which in effect kills it for this session. 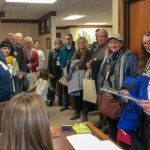 But we still have the House version of the Clean Energy Jobs bill, HB 2135. Status: Passed out of the House Energy & Environment Committee to the House Rules Committee. Upcoming Action: Support needed! Sign petition. Join more than 5,000 other Oregonians who want to put a price on pollution and reinvest in Oregon’s communities. Visit the Oregon Legislature’s bill history and full text (HB 2135). 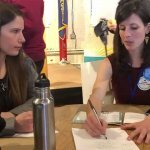 1 Reply to "Mid-Session Update: Clean Energy Jobs"